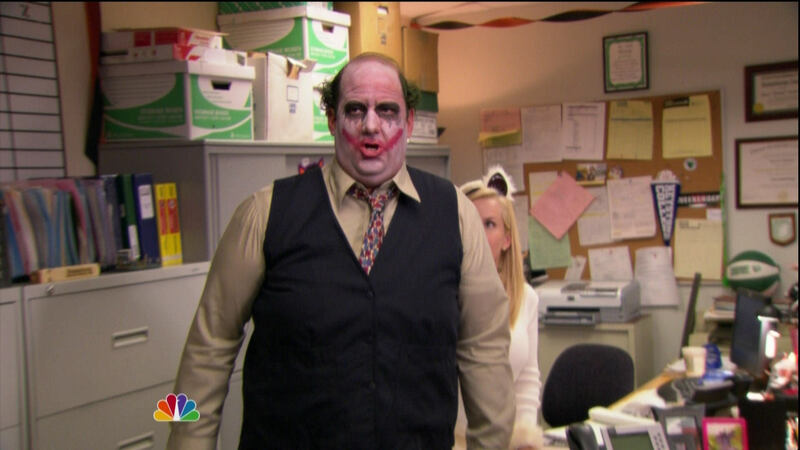 'Employee Transfer' Promo. . HD Wallpaper and background images in the The Office club tagged: the office promo employee transfer promo halloween episode season five halloween new episode. This The Office photo contains business suit. There might also be well dressed person, suit, pants suit, pantsuit, suit, and suit of clothes. Love it, Ang! You dressed as a cat...again.